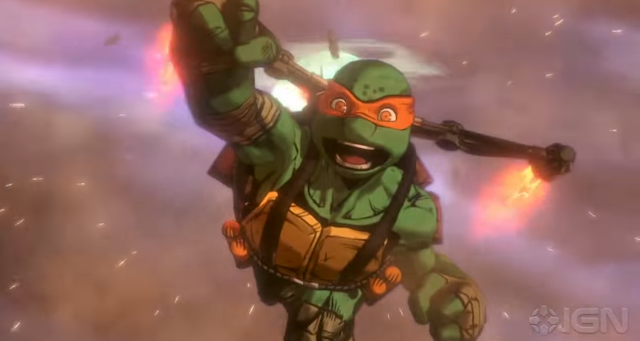 Platinum Games who brought us Transformers: Devastation is revamping our favorite "heroes in a half shell" in a similar open-world fighting style video game. According to IGN, Teenage Mutant Ninja Turtles: Mutants in Manhattan is set to be released on Xbox/Playstation consoles and PC on May 24, 2016. A new official gameplay trailer was released this week featuring the turtles encounter with Bebop, Rocksteady, Karai, and their nemesis Shredder. IGN also has 20 minutes worth of gameplay including a walkthrough along with a look at single player and 4-player coop play. Preorder or add Teenage Mutant Ninja Turtles: Mutants in Manhattan to your wishlist now on Amazon.